The way in which theoretical discourses travel from one linguistic and cultural context to another, and the transformations they undergo along the way raise important theoretical questions. Different cultural practices with respect to translation, quotation and reference inevitably modify and recontextualise such discourses, enriching, limiting or reorienting the theoretical debate. 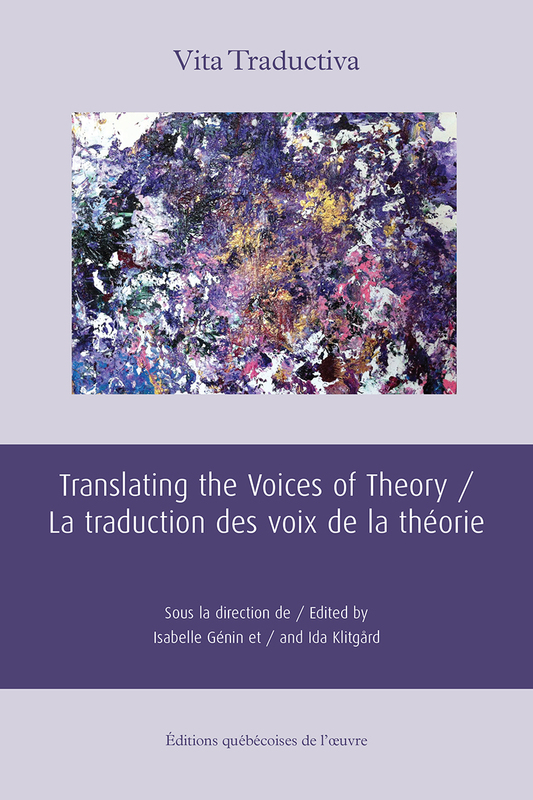 Highlighting the innovative potential of the concept of "voice", this collection of essays remarkably examines the surprising variety of other voices involved in the intercultural passage of "theoretical voices". Some articles present detailed case studies (Foucault in Finnish, Benveniste in Polish, Nida in Romanian, Said in Eastern Europe), others explore specific contexts of mediation (Polish journals, missionary texts in Tagalog, French texts Translation didactics, drafts of Danish students) or examine the specific issues involved in the translation of postcolonial theoretical voices.